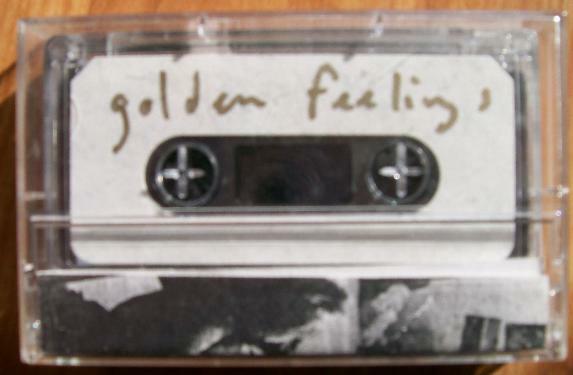 Available on Golden Feelings and 1 other release. "Super Golden Black Sunchild" not only has some of Beck's quirkiest lyrics, it also has his quirkiest vocals! I think there is a nice song underneath this, but in the end it just feels a bit like Beck was goofing around (though clearly that's how some of his best stuff came to be back in the day). I have no idea what he did to get his voice to do some of those Donovan-like sounds like that though. Are the lyrics here inconsequential? Maybe, but it is worth noting the great internal rhyming (like "sweating," "meadow," "gently"). Beck recognizes the importance of the sound of words, while still maintaining some sort of fluency. The closest thing I know to a live version of "Super Golden" was on November 28 1994. There, Beck noticed his wavering voice was sounding like Donovan and then sang "bless this sceptre" from this song real quick, before playing a song for real. Looking through a government web search (here) of Beck's copywrighted works turns up that this song was copywrit with the title "Supergoldendarksunchild" (one word, and with 'dark' not 'black'). Seems official enough, not sure how it got changed. At the beginning of this track, there is a sample of "I Hear Trumpets Blow" by The Tokens.